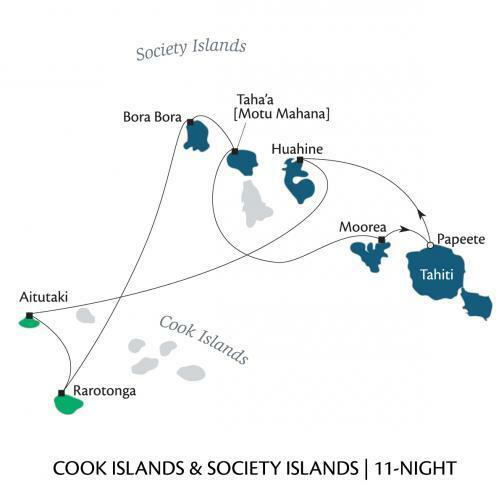 We braved the rough seas as we boarded our tender boat and headed to this beautiful little tropical paradise. 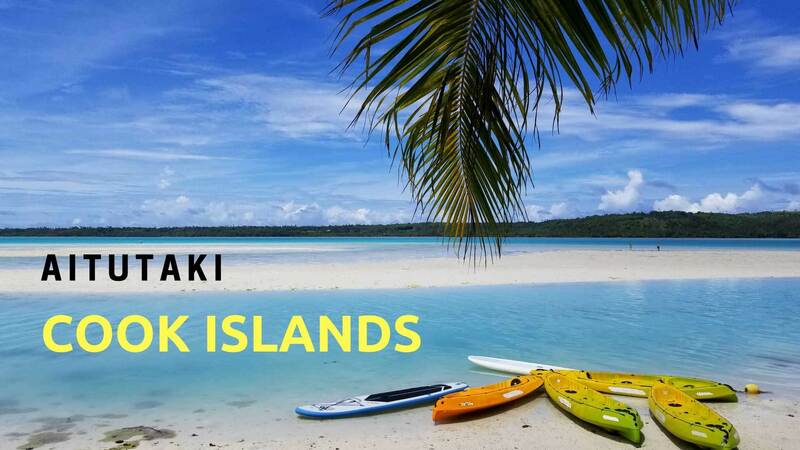 Aitutaki is home to only 1,600 Cook Islanders as well as some of the most beautiful beaches in the world. We headed out in our safari tour crammed into the back of a jeep as we made our tour of the whole island in under 4 hours. We visited a mareva, or holy site, where there were markers depicting a family tree. The stone representing a patriarch is set followed by a straight line of his wife and however many children. Stones are then set in further lines showing the lineage of families for three generations. Also at the mareva were stones where young men became warriors through ritual circumcision at the age of 17 or 18. The stones were arranged so that the young man would be seated legs spread for the ceremony. Be sure to bring insect repellent if you take this tour as the mosquitoes can be numerous. 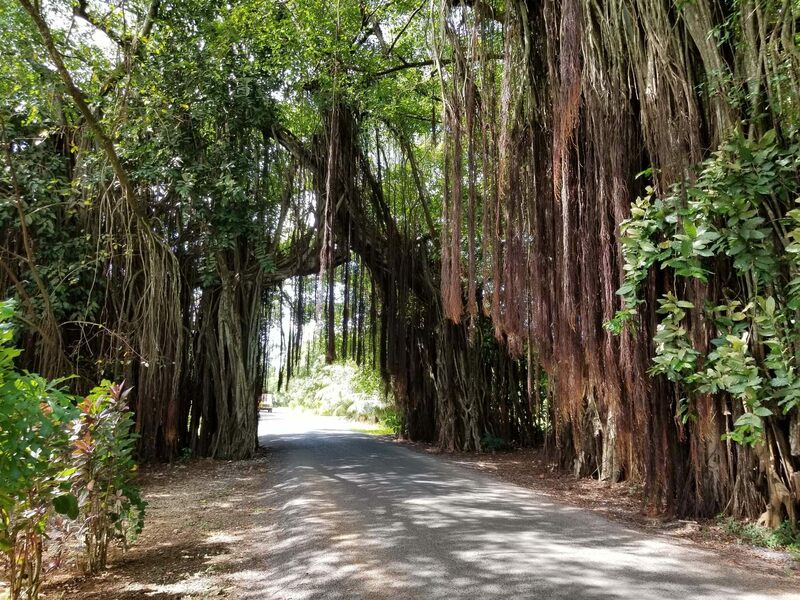 Our next stop we visited a 300 year old banyan tree and learned about all of the plants that were used for various purposes by the original inhabitants in their daily lives. The banyan tree was very impressive and swinging from the many vines that hung down was encouraged. 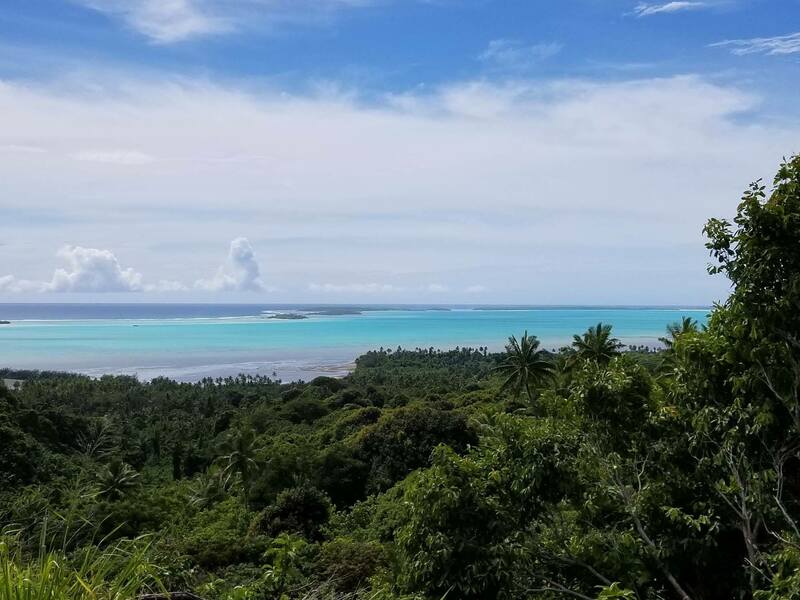 Being that there are only 1,600 residents in Aitutaki, everyone who drove by greeted you and it felt like a friendly small town. 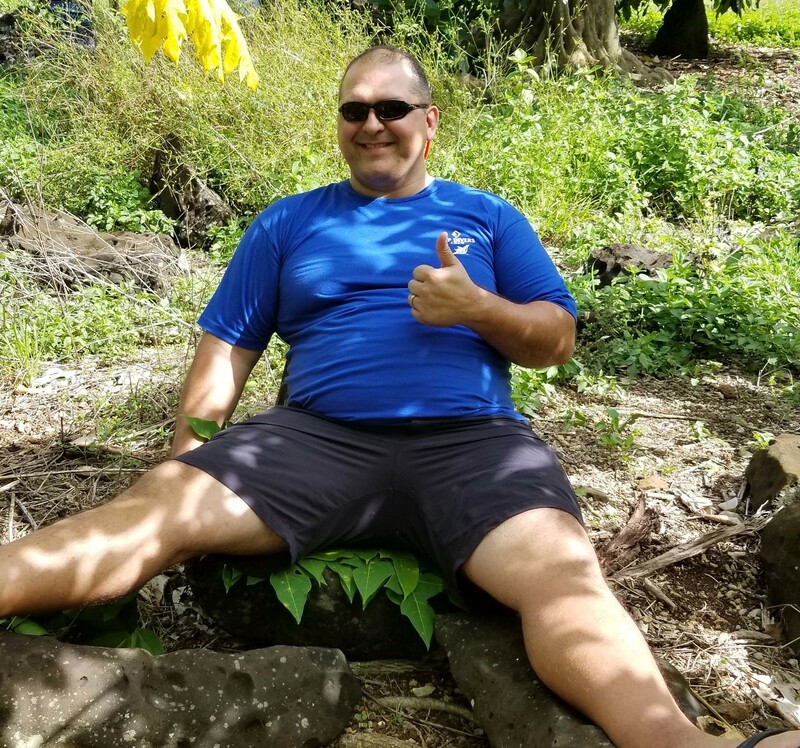 We were driven to a wonderful lookout at the second highest point next and were able to see some amazing views of the lagoon and barrier islands. The island is so lush and green, you really feel like this is a tropical paradise looking around. We were treated to a snack of some locally grown fruits for a small snack. The passion fruit was so yummy. 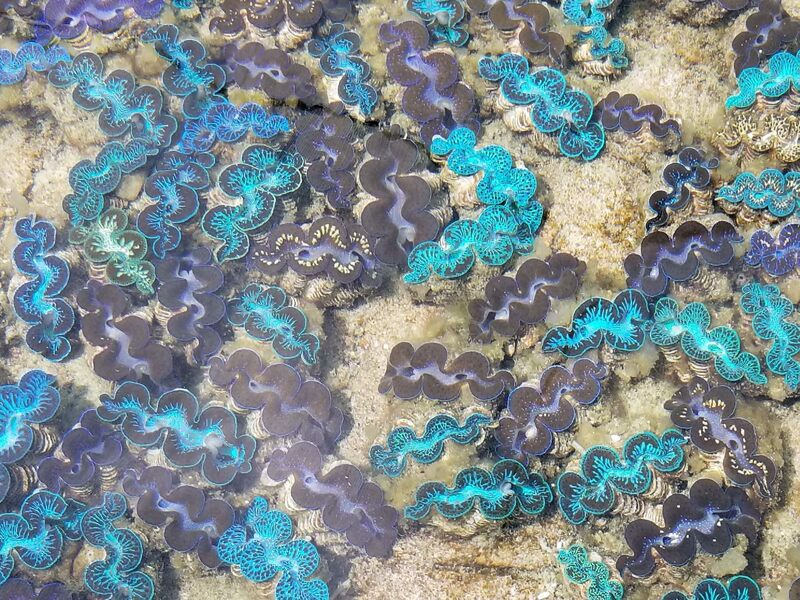 Our last stop was at a marine research center where they are studying the giant clams (Tridacna maxima) that grow in the reefs throughout the Cook Islands. We were taught the different species by looking at the colors they are around the rims of their mouths. While we were checking out the various clams, a parade of hermit crabs were marching by our feet to the ocean. In the afternoon, we went on a scuba dive at a site called Black Rock. The visibility was around 60- feet or so and the surf and surge were pretty rough. The dive master, Onu, a friendly guy from New Zealand, told us that the conditions were typically not so good when the Paul Gauguin arrived for whatever reason. There were lots of live corals and some wonderful swim-throughs as well as quite a few fish at this site. All in all it was a good dive, but it could have been much better if the conditions had been better.